Summit Point Golf and Country Club is known by many for its cool climate and breathtaking scenery in Lipa City, Batangas. The year-round cool weather and gorgeous views of the Malarayat Mountain Range keep golfers coming back for more rounds of skill-testing golf. With the excellent design of top golf course architect Robert Trent Jones II, each of the 18 golf holes change in character with the season. Robert created the holes being inspired by some of the most famous golf holes in the world. The creativity and smoothness of this 7,107 yard 18 hole golf course has brought it an award as one of Asia’s Ten Best New Courses by Asian Golf Monthly Magazine’s Readers Choice Awards. 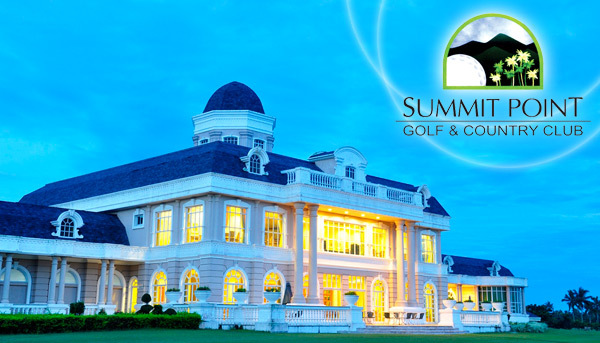 One can stay entertained round the clock with Summit Point’s clubhouse with a golfer’s lounge, a locker room, a driving range, a swimming pool, and most importantly a restaurant to always keep a full stomach! 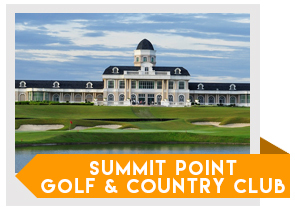 Summit Point Golf and Country Club is a private course, so only members are allowed to play golf and use the facilities of the clubhouse. However, guests can go with members, so they can also gain access at the club. Visitors that want to play can easily reach Summit, just 60 minutes from Makati. Famous 18 Holes – Each hole was designed and constructed by the renowed architect Robert Trent Jones Jr. to replicate famous golf holes across the world. ie. St. Andrews, Augusta National, Pebble Beach, Spyglass Hill, Cypress Point… just to name a few. Cool climate and breathtaking scenery as each golf hole changes in character with the season. 60-90 minute drive from Makati. Tip for Tourists: You can still play at Summit Point Golf and Residential Estate by booking directly with GolfPackages. Fill out the form to your right and get your free quote today.